Pet Chip Registry registers and displays owner contact information for all brands of pet microchips including Home Again ®, AVID™ AKC CAR/EID™, Digital Angel®, ResQ®, ALLFLEX®, Schering Plough™, 24 PET WATCH™, Lifechip®, Banfield®, Crystal Tag™, Datamars™, & Destron Fearing™ once submitted. 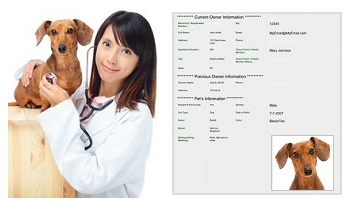 Pet Chip Registry Online is part of a multi-country organisation designed as a quick reference tool for animal care groups and veterinarians. More pets are returned to their owners due to ID tags, than microchips. Metal ID tags, $18.00 AUD. Pet Chip Registry AU is designed to give busy veterinarians, animal shelters and rescue groups, easy access to registered owners of lost pets. 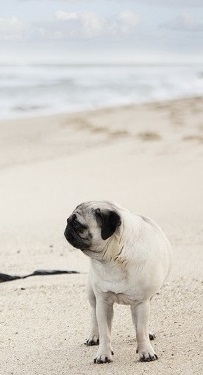 Our only goal is to limit the time that our members spend away from their frightened pets. With the Pet Chip Registry AU , busy veterinarians and shelters can visit the National Online Search Engine and simply enter the microchip number. 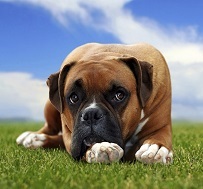 When the microchip number is entered, the name of the owner, with a photo of the pet, as well as four different forms of contact for the current registered owner, will instantly display on the screen.